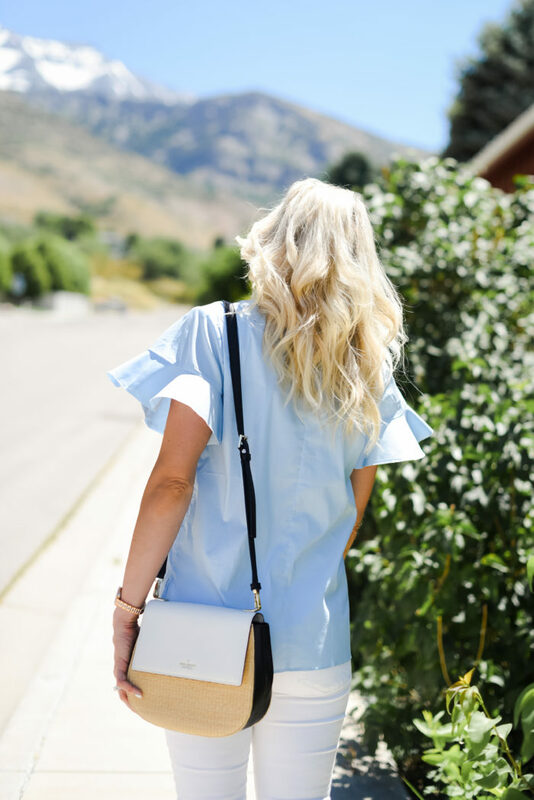 A Roundup of the Cutest Blue Ruffle Sleeve Tops! I love Ruffles! Hola!! I mean…5 posts in one week?! You could say it’s mom’s gone wild over here. I mean, things are a little crazy and we are just doing it big. Real big. 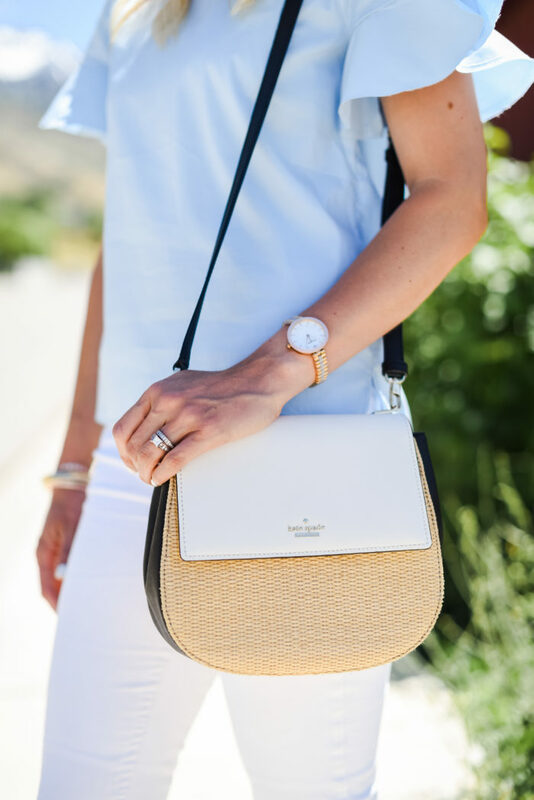 I’ve got a lot of fun clothes to share this week so I figured I would give you guys first dibs on the best of the best because they’re cute and I don’t want them selling out on you. I’ve got your back, mama. I love this ruffle sleeve top (I’m a sucker for ruffle sleeve tops this summer) and I’m having a lot of fun picking out my favorites. This one is on SALE!! (I’m still a treasure hunter at heart) and only $19.95 + free shipping. You’re welcome. Sometimes I wish you could hear my tone of voice when I’m saying what I write on here because it would be a kajillion times more funny. Just saying. Unless you’re laughing right now which means that I’ve made my point. But you probably aren’t. 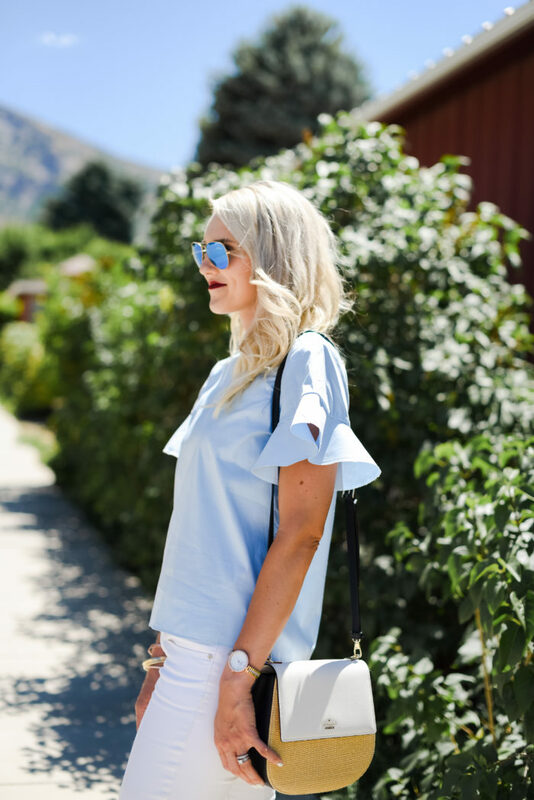 SO…I chose the best blue ruffle tops and I’m loving all of them! I think this one and this one might be my favorite. I want this one in all the colors! 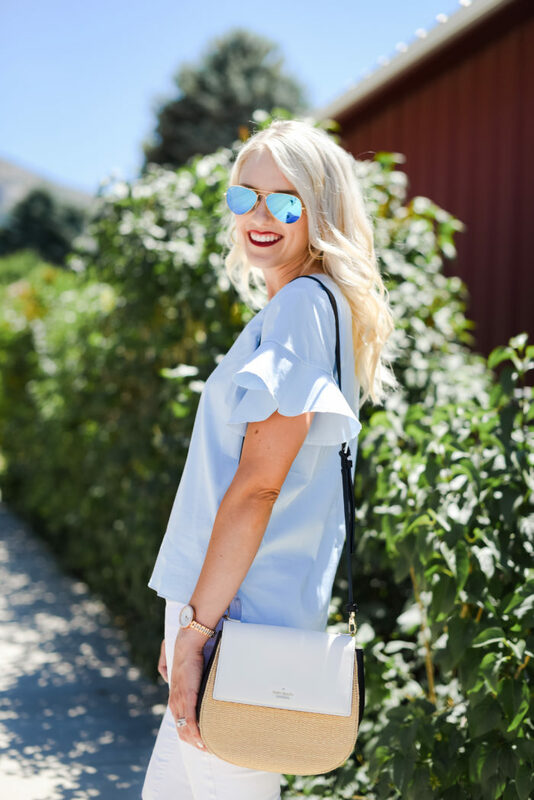 So…without further adieu (even though I know you’re loving every word that I write and don’t want me to stop) here are my favorite blue ruffle sleeve tops right now!